Sunbank strain relief adapter products provide mechanical cable bundle clamping for light, medium, and heavy duty applications. The M85049/52-1-14N solution provides a cost effective cable holding option when environmental protection is not a concern, and weight savings is a major consideration. 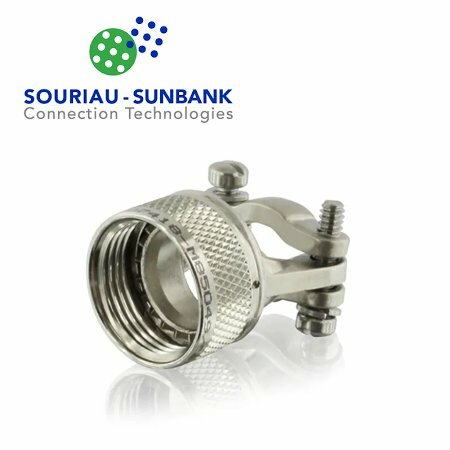 The Sunbank strain relief adapter product line secures and 'tidys-up' the cable and also provides good strain relief at the termination area. 90 degree designs are also offered for most available connectors.